The pain of downsizing extends far beyond laid off workers and the people who depend on their paychecks, according to a new UCLA-University of Michigan, Ann Arbor study. Even a single involuntary displacement has a lasting impact on a worker's inclination to volunteer and participate in a whole range of social and community groups and organizations, found the study, which appears in the September issue of the international scholarly journal Social Forces. 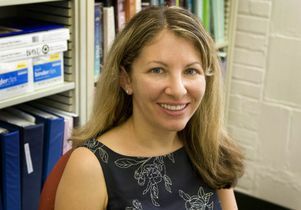 "What we find is that even just one disruption in employment makes workers significantly less likely to participate in a whole range of social activities — from joining book clubs to participating in the PTA and supporting charities," said Jennie E. Brand, a UCLA sociologist and the study's lead author. "After being laid off or downsized, workers are less likely to give back to their community." The first study to look at the long-term impact of job displacement on social participation, the research found that workers who had experienced just one involuntary disruption in their employment status were 35% less likely to be involved in their communities than their counterparts who had never experienced a job loss due to layoff, downsizing or restructuring, or a business closing or relocating. Moreover, the exodus from community involvement continued not just through the spate of involuntary unemployment, but for the rest of the workers' lives. "Social engagement often involves an element of social trust and a sense that things are reciprocal — that you give some support if you get some support, and you benefit from society if society benefits from you," said Brand, an assistant professor of sociology at UCLA. "When workers are displaced, the tendency is to feel as though the social contract has been violated, and we found that they are less likely to reciprocate." 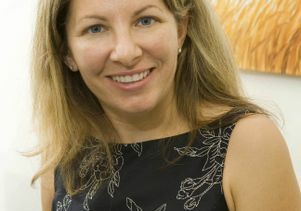 Along with University of Michigan sociologist Sarah A. Burgard, Brand looked at 4,373 participants in the Wisconsin Longitudinal Study, which has tracked a group of 1957 Wisconsin high school graduates for more than 45 years, gathering detailed information on their IQs, education, careers, psychological well-being, family and social lives. Born between 1939 and 1940, the group belongs to what Robert D. Putnam, the author of the 2001 sensation, "Bowling Alone: The Collapse and Revival of American Community," has described as "a cohort of joiners" or an American age group particularly inclined to participate in community and social groups. Of the six forms of involvement studied by Brand and Burgard, youth and community groups experienced the strongest exodus followed by church and church groups, charitable organizations and leisurely activities, including country club attendance. For workers who were displaced during their peak earning years — between 35 and 53 years of age — the effects were the strongest. The researchers found that non-displaced workers were 1.2 to 1.5 times more likely to participate across all forms of social and community activities than workers who had been displaced. This was the case for both ages examined by the researchers — 53 as well as at 64 years of age. "Workers can be displaced early in their career, and they're still less likely to be participating at age 60 than their counterparts who have never been displaced," Brand said. "It's not like displaced workers rebound and return to involvement. Displacement seems to change their whole trajectory of participation." Professional organizations were the least likely to be affected by a disruption of employment. After finding a new job, displaced workers were more likely to strike up affiliation with these groups than with youth groups or community centers; civic, business, political, neighborhood or professional groups; or social and leisure activities, including country clubs, sports teams and weekly gatherings with friends, Brand and Burgard found. "Displaced workers may be more likely to keep up with professional groups than other groups because they're trying to make up for lost ground with respect to their careers," Brand said. Affiliation with political groups also showed no statistically significant downturn over time, possibly because the experience of being displaced impressed some workers with the need for political action. Employees who experienced the disruption during the tail end of their careers were less likely to withdraw than workers who were displaced earlier in their careers. The researchers found no significant difference in social and community participation between workers who were displaced between 53 and 64 years of age and their non-displaced counterparts. "Being laid off doesn't appear to be as socially damaging for older workers as younger ones," Brand said. "The shame factor of downsizing your lifestyle just isn't there, because your peers may be downsizing as well and you can play off your displacement as an early retirement even though it may be forced retirement." The closest that previous research has come to drawing a connection between employment and participation histories compared workers who had tended to jump frequently from one job to the next with workers who had a shorter list of past employers, Brand said. The research found that workers with a turbulent employment history tended to be less involved in their communities than their counterparts with more stable job histories. But the earlier research did not compare the participation records over time of workers who had actually experienced involuntary displacement with those who had not. Neither did it look at the community involvement records of workers before and after displacement, as the UCLA-University of Michigan study does. "From past research it wasn't clear whether you participated less because you were in a disorderly career or you were in a disorderly career because you were the kind of person unlikely to participate anyway," Brand said. The latest findings have considerable ramifications, she contended. "Whether citizens participate is important for the effective functioning of neighborhoods, schools, communities and democracies," Brand said. Moreover, withdrawing could prolong unemployment by limiting a displaced worker's exposure to contacts that could possibly lead to a new job. "If workers withdraw socially after being laid off, then they're experiencing double-jeopardy," Brand said. "They're losing their jobs, and then they're not participating in society, so they're not keeping up with social contacts that might help them find a new job." With unemployment at record levels, charities and community groups might need to do a better job of reaching out to potentially displaced workers to make sure they stay involved — both for the good of the organization and for the worker's own good, Brand said. Job loss counseling offered by employers going through restructuring might also do well to take into account the risk of social withdrawal. "Everybody loses when people withdraw from society," Brand said.